After the Supreme Court of Canada made a number of decisions enlarging the scope of the fundamental freedom of association in the field of labour relations, in British Columbia Teachers Federation v. British Columbia, 2015 BCCA 184, the British Columbia Court of Appeal has slowed its growth and given some considered discussion of the Supreme Court’s recent pronouncements in the field. A majority of four of a five member panel led by Chief Justice Bauman and Mr. Justice Harris reviewed the law respecting freedom of association, including the recent decisions of the Supreme Court in Mounted Police Association of Ontario v. Canada (Attorney General), 2015 SCC 1 (“MPAO“)and Saskatchewan Federation of Labour v. Saskatchewan, 2015 SCC 4 (“SFL“). Their comments provide penetrating insights as to one approach to understand the newly reconstructed freedom of association. In two decisions released only two weeks apart, the Supreme Court of Canada has clearly moved to “refang” the union movement, especially insofar as it involves government employers. In its first decision of the year, Mounted Police Association of Ontario v. Canada (Attorney General), 2015 SCC 1, the majority of the Court ruled that the laws prohibiting RCMP members from being able to freely organize their own independent labour association (ie. a labour union) contravened their freedom of association as protected by s. 2(d) of the Charter and could not be justified under s. 1. In last Friday’s decision, Saskatchewan Federation of Labour v. Saskatchewan, 2015 SCC 4, a majority of the Court held that Saskatchewan’s “essential services” laws which prohibit the public service from striking were similarly contrary to s. 2(d) and unconstitutional. In both cases, Justice Rothstein (joined by Justice Wagner in the second decision) provided powerful dissents. As a result of these decisions and other relatively recent decisions, Canada constitutional protection of freedom of association has now come to protect core elements of labour relations, such as the right to bargain collectively, the right to strike and the right to freely choose an independent labour association to represent their interests viz-a-viz the employer. We have come a long, long way from the labour trilogy of 1987. 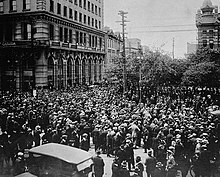 While the constitutional status of the right to strike is now in doubt, there is no doubt that the courts, with the Supreme Court of Canada leading the way, are resetting the constitutional balance of power between trade unions on one hand and employer (and especially public sector employers) on the other. The Supreme Court has now clearly determined that the collective and social exercise of the fundamental freedoms enumerated by the Canadian Charter of Rights and Freedoms is worthy of constitutional protection and scrutiny. This was not always so. In 1987, a trilogy of cases (Reference re Public Service Employee Relations Act (Alberta),  1 SCR 313, PSAC v. Canada,  1 SCR 424; RWDSU v. Saskatchewan,  1 SCR 460] severely limited the scope of the fundamental freedom of association. The Supreme Court ruled in those cases that freedom of association could not encompass the activity of collective bargaining because an individual could not, on his or her own, bargain collectively. The logic was then that freedom of association belonged to individual persons only and that this freedom of association could not be enlarged in scope simply by the individuals acting in concert. Since an individual could not bargain collectively, individuals acting together could not claim that their freedom of association extended to an action that they could not individually carry out. This unfortunate (in my respectful opinion) determination knocked the stuff out of freedom of association for a quarter century. Of interest is the fact that Bastarache J had already started to recognize the communal, collective or social quality of important aspects of the fundamental freedoms (expression, association). In other words, it is not just freedom of association that is important from a collective perspective but also freedom of expression (and logically and necessarily, freedom of religion –though not expressly noted by Bastarache J in the examples given). Indeed, in the example of the press differing qualitatively from the journalist, Bastarache J expressly acknowledges that that aspect of the s. 2(b) freedom has important uniquely collective characteristics. 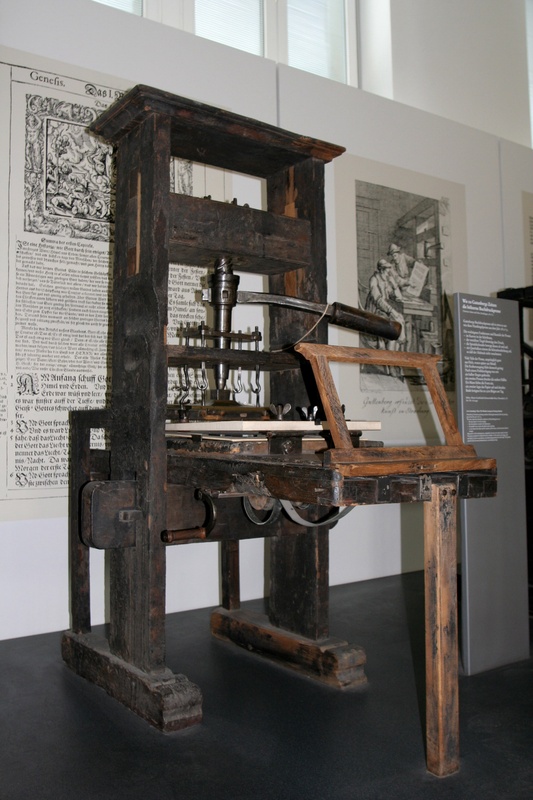 The “press” as it has evolved in its current forms has many collective qualities – from the joint editorship and control over publication to the mass readership and dissemination of the product. Perhaps, due to Canada’s constitutionalized bilingualism and recognition and protection of collective linguistic and aboriginal rights, the Court had become more accustomed to concept of collectively exercised rights. Maybe this was why Bastarache J. was led to refer to the example of the language community differing from the language speaker. In any event, certainly by 2001, the Court was leaving behind the rigid philosophy that individual rights and freedoms could have no greater scope than the scope carved out by the exercise of such rights or freedoms by an individual. By the time of Dunmore, the Court was already flagging its inclination to accept that the human condition has certain fundamental components that are communal, social or collective in nature and that fall within the ambit of the constitutionally protected rights and freedoms. In paragraph 25, the Justices state: “the Act does not include any mechanisms by which a union’s constitiutional right to freedom of expression may be balanced with the interests protected by the legislation” (emphasis added). Later, at paragraph 30, they quote with approval from the International Labour Organization that “[t]he exercise of freedom of association and collective bargaining is dependent on the maintenance of fundamental civil liberties, in particular…. freedom of opinion and expression”: Report of the Director-General: Freedom of association in practice: Lessons learned (2008), para. 34. Thus, a right that is conferred by the Charter on “everyone” has become a constitutional right of a union, an entity that by its very definition is a collectivity. The express recognition by the Court of the importance of the collective exercise of some of the fundamental freedoms, including freedom of association and freedom of expression has far-reaching implications. Concepts are not “expressed” in a vacuum. They are expressed by one person to one or more other persons. 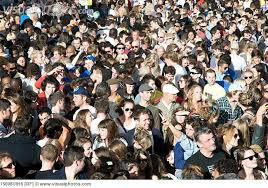 They are discussed among people in groups in communities, formal and informal. Ideas and concepts and thoughts are shared, shaped, moulded and adapted by individuals and groups of persons, individuals and groups whose membership is constantly shifting. This has always been a core element of human expression. Now the Court has clearly confirmed that it is worthy of constitutional protection. The significance of this development must be appreciated in the context of the world we now find ourselves in. Marshall McLuhan’s concepts of a global community have been realized through the advent of the Internet and world wide communication systems. The term “Friends” has taken on new significance with communities built on Facebook. With a click of a computer key, people can share their ideas, their thoughts, their photos, their music, their videos with hundreds or thousands or millions of people. “Viral” used to be something only with negative connotations. Now, if you launch a video that goes viral, that may be a fantastic development. In a future post, I will outline what I think the ramifications of this “collective”, “social” or “communal” constitutional protection are. For now, I will say simply that the world is a different place today and the Court apparently is adapting its jurisprudence to reflect that condition.